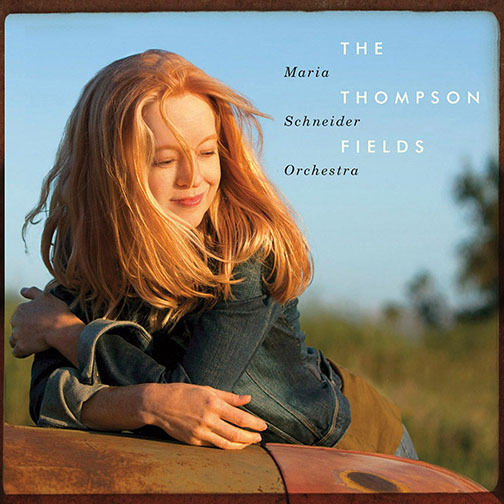 Maria Schneider leads a band of eighteen of the best musicians in New York and keeps winning awards for being on the leading edge of composers and arrangers. Yet, her orchestra’s first album in eight years does not draw its primary inspiration from big city life or the yeasty New York jazz scene. The music reflects the peacefulness and the sometimes-volatile atmosphere of the heartland where she grew up. Memories of the small southwestern Minnesota town of Windom and its surrounding prairie inform most of the pieces in the collection. Side trips to New Guinea and Brazil and a tribute to a departed band member are consistent with the character of the world Schneider creates in eight compositions. She does not call The Thompson Fields a suite, but its unity of style and its mood of reflection would justify that designation.